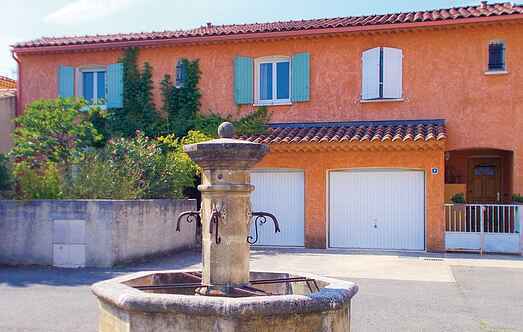 Find a vacation home to rent in L'Isle-sur-la-Sorgue from our list of vacation rental properties. Campaya has over 42 vacation homes available in L'Isle-sur-la-Sorgue, which give you the possibility to locate a unique accommodation in L'Isle-sur-la-Sorgue which completes your check-list in search for the perfect self catering vacation apartments in L'Isle-sur-la-Sorgue or vacation villas in L'Isle-sur-la-Sorgue. In an idyllic position on the leafy banks of the River Sorgue, it is hard to believe the shops, cafés and restaurants of the town centre are only a short walk away. The modern and detached holiday villa is nestled within a walled garden in a quiet residential area, close to the River Sorgue. This cosy one bedroom apartment is situated just 800 meters from the center of L'Isle-sur-la-Sorgue. The apartment is located on the second floor and is bright and comfortable. Come and discover Vaucluse and the beautiful town of Isle sur Sorgue in this lovely holiday rental. Saumane is located at the Luberon Mountains in the heart of Provence. Last but not the least, this residence surrounded by pine forests is ideal for golfers.